An access road for drilling rigs and heavy equipment would run through this landscape if two proposed mines are constructed near Yellowstone’s northern entrance. A destination in and of itself, Paradise Valley offers the full array of the Yellowstone region’s iconic wildlife and magnificent landscapes, as well as blue-ribbon fishing in the Yellowstone River. With a lot riding on the tourist season, one thing the locals shouldn’t have to worry about is a massive new gold mine driving away tourists. Thanks to Earthjustice litigation, the likelihood of that happening is substantially less now. A Montana district court has quashed a permit that would have allowed Canadian mining company Lucky Minerals Inc. to explore for gold in Emigrant Gulch just north of Yellowstone National Park. 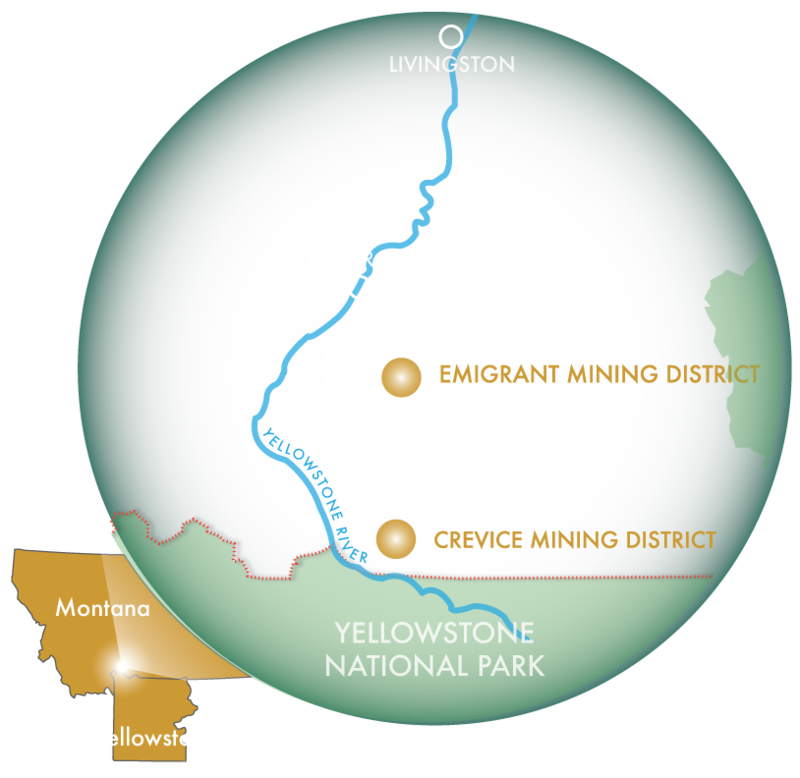 The ruling blocks exploratory drilling that was slated to begin this summer, and is a significant victory in the multi-year effort to protect Yellowstone National Park from new mines surrounding the national park. Proposed in 2015 by Canada-based Lucky Minerals, the company’s plans to develop a large-scale gold mine in Paradise Valley would have caused irreversible environmental harm to the park and frayed the economic fabric of the region. Travelers gazing at the majestic Emigrant Peak jutting up from the Absaroka Mountains—a refuge for bighorn sheep, elk, grizzly bears, wolverines, and other creatures—would have been confronted with the destruction of an industrial mining operation. But a blemished view of the cinematic Yellowstone landscape was just one of the problems anticipated with this proposal. At full scale, the Emigrant mine threatened to send acid runoff flowing into tributaries of the Yellowstone River, while nearly 100,000 tons of waste rock containing elevated levels of arsenic would have been dumped near tributary headwaters. Even mineral exploration alone threatened to pollute these waters with heavy metals and acid runoff. Mining and mineral exploration would also carve up precious habitat for endangered grizzly bears, as well as wolverines, lynx, elk, and other species. The local community also would have been harmed, as it relies on large swaths of connected wildland to support sustainable recreation and a healthy tourist economy. Barreling ahead with gold mining and exploration for short-term financial gain could come at the expense of the primary driver of economic growth in the Yellowstone area: an intact landscape that attracts millions of visitors from around the globe and supports a diverse business community and highly skilled workforce. Earthjustice, together with local and regional groups, challenged the gold exploration proposal in September 2017 under the Montana Environmental Policy Act (MEPA), arguing that state regulators downplayed and dismissed some very serious environmental risks posed by the project. Those include potentially long-term harm to the iconic wildlife of the Yellowstone region, particularly grizzly bears and wolverines, and threats to clean water in Yellowstone River tributaries. We also argued that the state didn’t seriously consider the potential that this exploration could lead to much larger-scale development. In May 2018, the court agreed with us on all of our claims. But due to a Montana state provision prohibiting courts from invalidating or enjoining mining projects, even if the project is unlawfully authorized, Lucky Minerals could have insisted on proceeding with gold exploration while regulators conducted a new environmental analysis. That didn’t sit well with us or our clients, so our attorneys went back to court to stop the project entirely. We argued that allowing an illegal project to go forward violates the public’s environmental and public participation rights under Montana’s Constitution. Last week, the court again agreed with our argument. As a result, the mining exploration project is now entirely off the table.